You are invited to the Special Olympics Louisiana Reveal the Champion Breakfast presented by the Louisiana River Pilots’ Association! We are asking you to Reveal the Champion in yourself and in our Special Olympics Louisiana athletes. This event is Special Olympics’ annual campaign. Participants are invited to a breakfast that will raise awareness and engage the community by showcasing some of the unique programs Special Olympics Louisiana has to offer. You will meet our athletes and hear their stories of how Special Olympics transforms lives every day. You will find yourself relating to our coaches, partners, volunteers and management team members and leave wanting to get involved. 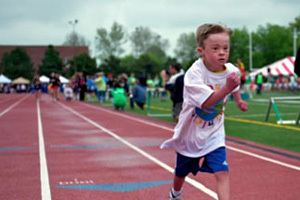 Feel free to bring a friend and join us to see how Special Olympics reveals the champion in all of us! Join us for the 2016 St. Tammany Champions Together Breakfast on May 5th! Click here for more information or call us to reserve a spot 800.345.6644. On Sunday, June 12th, 2016 Special Olympics Louisiana will be hosting our SOL Bowl event at Colonial Bowling Lanes located at 6601 Jefferson Highway in Harahan, Louisiana. It will be celebrities, you, and your crew bowling on a team together! You and your three closest buds, co-workers, or family members will have the opportunity to bowl with local celebrities and show them who the true champion really is. Raffles and auctions will take place with winning items signed by local celebrities, and there also will be tons of great prizes provided by local businesses. SOL Bowl helps change the lives of thousands of children and adults with intellectual disabilities in Special Olympics Louisiana. SOL Bowl will be a day packed with great food, music, and company. We hope to see you and your crew there! State Summer Games is right around the corner! May 20-22nd to be exact. The event will kick off on Friday, May 20th inside Southeastern’s Strawberry Stadium at 7:30pm for Opening Ceremonies. We invite all to attend to witness the Flame of Hope and the parade of athletes! Give NOLA Day is 2 Weeks Away! Don’t forget to support SOLA on May 3rd!